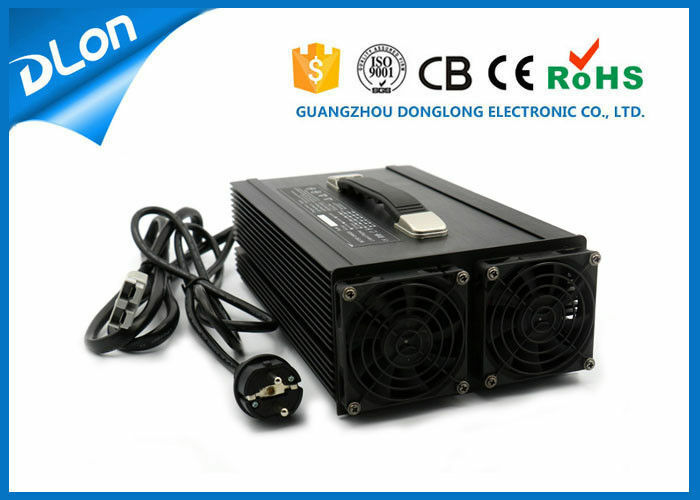 48v 30a battery charger is 3 stage cc cv floating charger with led display, The voltage and current can show on it and adjust according to your requirement, high efficiency and multi protection , safety and durable. 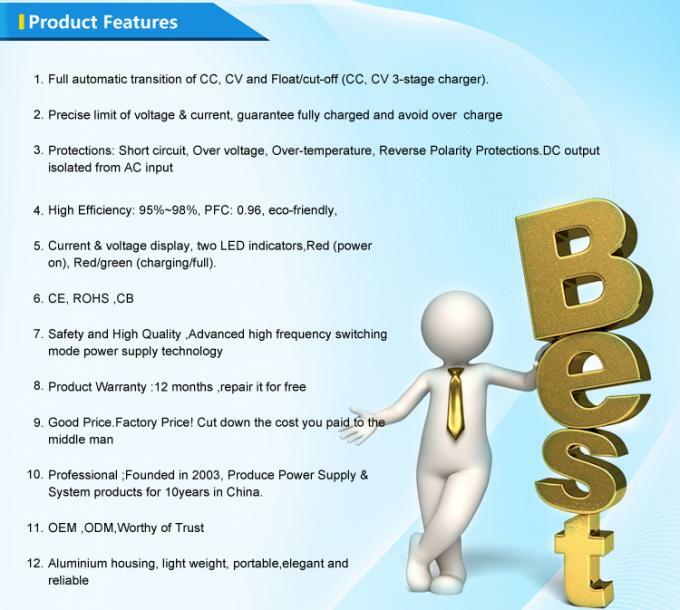 It is not only suitable for electric golf car, but also can use on all high power electric tools, electric vehicle, ev products. Easy to use and convenience to take. 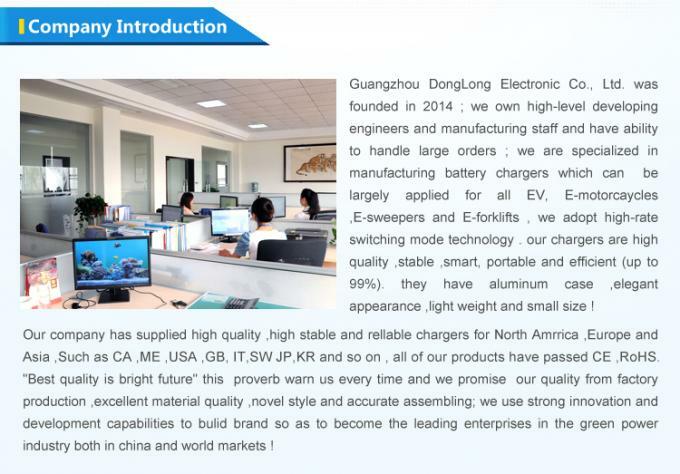 It is good choose for your electric golf car and tools !! 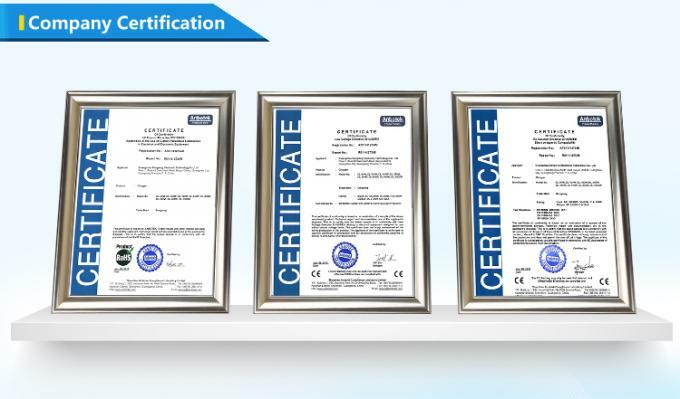 Second stage ( constant voltage ) : The voltage will be rising under the first stage, when it reach constant voltage value, it will turn into the second stage. The current will be slowly smaller until it reduce to floating value,the CV stage will end. 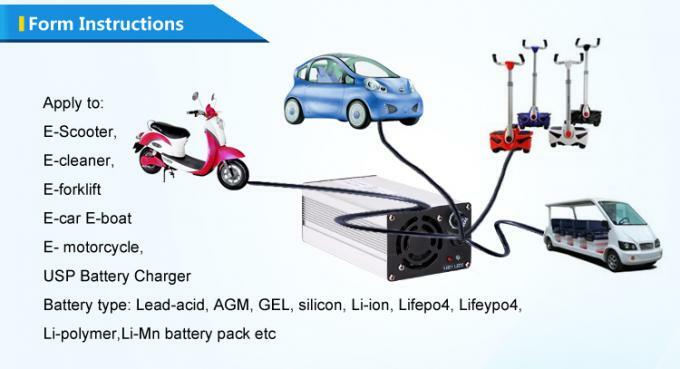 Third stage ( Floating charging ) : When the current is approaching the value of transition, the charger will cut down to the given current gradually, that means the battery power is full and indicator light turn to green. At this moment, the battery can be stopped charging or keep on trickle current charging for half an hour. Note: Cut-off point for Li battery is 5% of CC, and it can be setted between 3-10%. 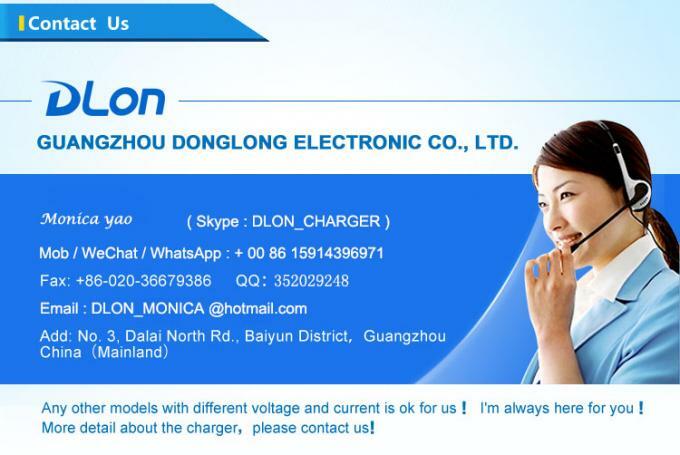 First output power charger wire ends are connected to the battery anode and cathode , the charge indicator turns green, the connection is correct, otherwise the charge in question, please check the actual situation. 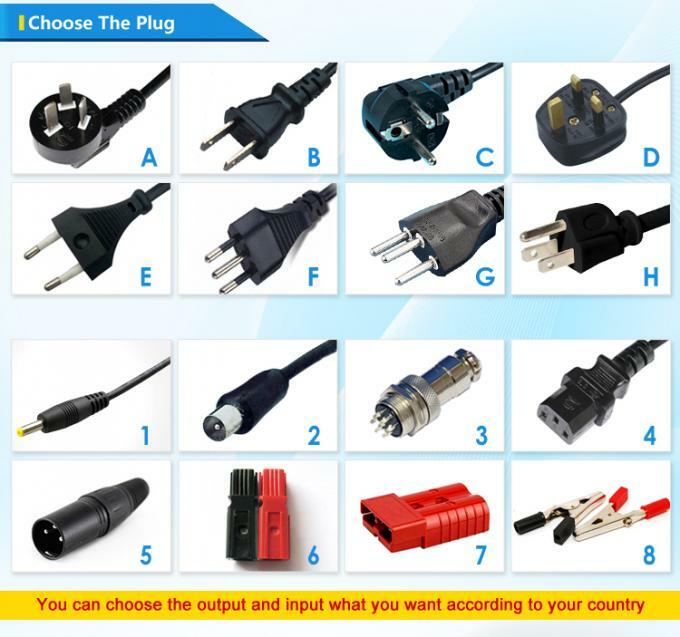 Then city power plug to socket , the indicator is red, charger will be into the charging state . When the indicator light turns to green, the battery is charged to 95% , If you want to reach 100% , keep charging for 1 to 2 hours before end of charge. When fully charged, disconnect the city power first, then disconnect the battery cable. 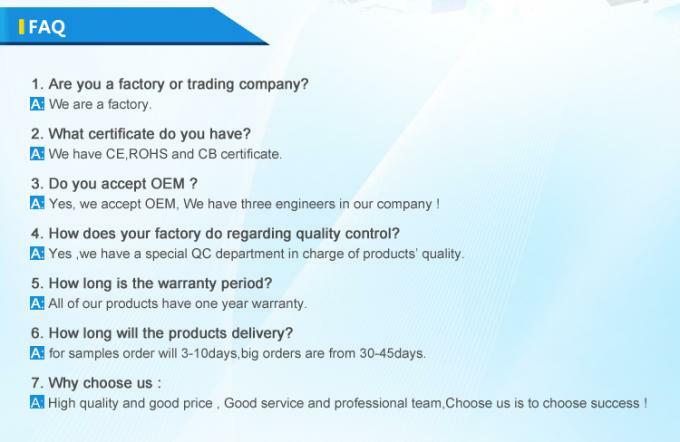 For more information about 48v 30a battery charger or other items charger, welcome to contact us !